Flipped learning is an approach to the design and instruction of classes through which, with appropriate guidance, students gain their first exposure to new concepts and material prior to class, thus freeing up time during class for the activities where students typically need the most help, such as applications of the basic material and engaging in deeper discussions and creative work with it. While flipped learning has generated a great deal of excitement, given the evidence demonstrating its potential to transform students’ learning, engagement and metacognitive skills, there has up to now been no comprehensive guide to using this teaching approach in higher education. 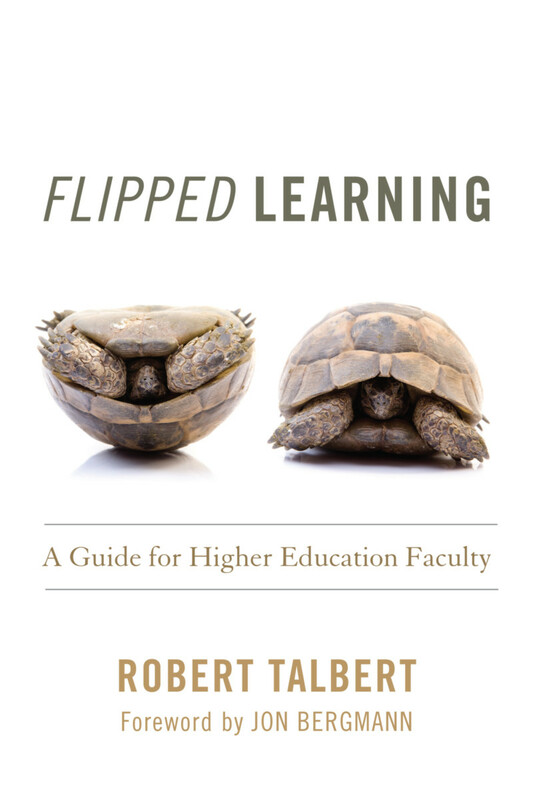 Robert Talbert, who has close to a decade’s experience using flipped learning for majors in his discipline, in general education courses, in large and small sections, as well as online courses – and is a frequent workshop presenter and speaker on the topic – offers faculty a practical, step-by-step, “how-to” to this powerful teaching method. He addresses readers who want to explore this approach to teaching, those who have recently embarked on it, as well as experienced practitioners, balancing an account of research on flipped learning and its theoretical bases, with course design concepts to guide them set up courses to use flipped learning effectively, tips and case studies of actual classes across various disciplines, and practical considerations such as obtaining buy-in from students, and getting students to do the pre-class activities. This book is for anyone seeking ways to get students to better learn the content of their course, take more responsibility for their work, become more self-regulated as learners, work harder and smarter during class time, and engage positively with course material. As a teaching method, flipped learning becomes demonstrably more powerful when adopted across departments. It is an idea that offers the promise of transforming teaching in higher education. "The course design process, the tools and tips, and the excellent index make Flipped Learning worth a read. “This book presents flipped learning in simple terms which will lead to greater adoption of flipped learning in universities around the globe. So if you are kicking the tires of flipped learning, stop what you are doing and read this book. After reading it, you will have a clear path to flip your classes." Part One: What Is Flipped Learning? Chapter 1: What Is Flipped Learning, and Why Use It? Robert Talbert is an Associate Professor in the Mathematics Department at Grand Valley State University. His primary research interests are the scholarship of teaching and learning, focusing on flipped learning, alternative grading practices, and teaching with technology. He facilitates workshops, presents and keynotes on these topics.